When it comes to which vehicles boast the best value, many people are going to Toyota. 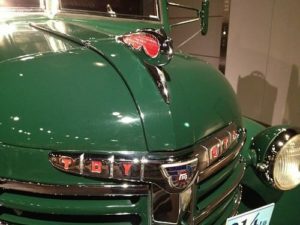 While cars like the Toyota Camry, widely considered the best value in mid-size cars, are often valued by customers, Toyota also has good value in trucks and SUVs. For a vehicle that will be a good value today, tomorrow, and years down the road if it’s properly cared for, Toyota pickup trucks and SUVs are one of the best buys that customers can make today. While pickups and SUVs have higher fuel consumption, they also have a much higher retention on their value. Part of this reason is because the vehicles are built tough, and in Toyota’s case it’s because of the sheer quality that goes into these machines. Trucks like the Tundra or the Tacoma will lose value very slowly over time, and for truck owners who have an eye on the long game that value retention is key to getting a future replacement at a reasonable price. The same is true for models like the 4Runner or the Land Cruiser; Toyota trucks and SUVs are here for the long haul, and their values will drop slowly over the years as long as the owner takes good care of the vehicles in question. When most people think of hybrid vehicles they tend to think of small cars that can get a lot of gas mileage. However, Toyota has also put hybrid technology into trucks and SUVs, which makes them a better value up front as well as in the long run. While newer than traditional vehicles, these hybrids overcome a lot of the problems that traditional vehicles have in terms of gas mileage. The value of hybrid vehicles tends to remain fairly high due to the technology that goes into them, as well as due to the demand for them. As one of the leaders in hybrid technology and vehicles, Toyota hybrid trucks and SUVs are leaders in value retention. With so many options, it’s no wonder that so many customers are flocking to the vehicles that Toyota has on offer. A good value today, and a great value years from today when it comes time to sell or trade the vehicle in order to get something new.